For my 2013 book on the Saltonstall family, I wrote 23 biographical essays on family members, from GilbertB Saltonstall (grandfather of the American immigrant) to Benjamin Crowninshield Bradlee, the legendary Washington Post editor. The Saltonstalls have produced a number of prominent and important public figures, including Sir Richard1 Saltonstall, who brought the family to Massachusetts Bay; Gurdon4 Saltonstall, the New London minister who became Governor of Connecticut; Congressman Leverett7 Saltonstall; and long-time Governor and Senator Leverett10 Saltonstall of Massachusetts. 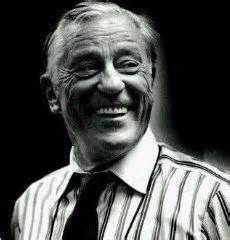 Still, there is no question that Ben Bradlee was the most fun subject about whom to write: he managed to pack several lifetimes’ worth of adventure into just one, spanning 93 years. His death in October drew a line under an era. His marriage to Jean10 Saltonstall fell apart thanks to their shared youth, wartime absence, and the glamor of Paris in the 1950s. It was during his second marriage, to Antoinette Pinchot Pittman, that “the Bradlees formed a circle of friends [in Washington, D.C.] that included Senator and Mrs. John F. Kennedy, a link that became increasingly important during the late 1950s and early 1960s. “Ben and Tony Bradlee were among the Kennedys’ closest friends and were frequent guests at the White House during the Kennedy administration. Their intimate bond was valuable to both men, but it also proved controversial, since Newsweek’s bureau chief was influencing, and being influenced by, the President of the United States. For the Bradlees, as for the rest of the nation, Kennedy’s death was a terrible shock; the murder of Tony’s sister Mary, and the revelation of her relationship with Kennedy after her death, was a private sorrow during those tumultuous years. A tremendous subject for a biographer!